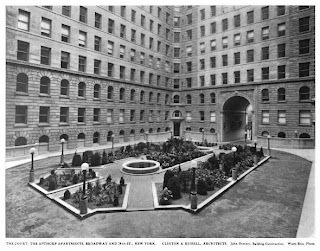 The Apthorp apartment house designed by Clinton & Russell c. 1906 on Broadway between West 78th and 79th Streets in New York City. The building was financed by William Waldorf Astor and was built on a piece of the old Apthorp Farm that had previously existed on the Upper West Side. 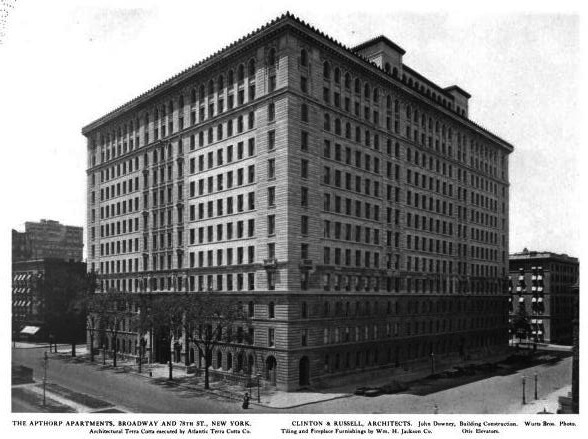 The building was converted to condos in 2008. 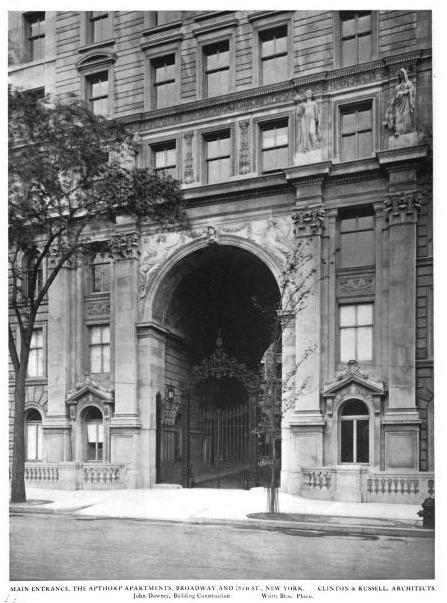 Click HERE for Christopher Gray's Streetscapes article on the Apthorp. 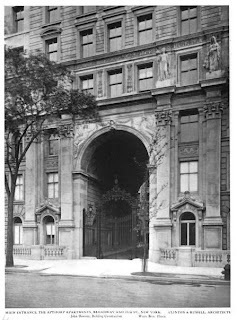 Click HERE to see the Apthorp on google street view. One of the best of the best. Belnord does not touch this one in terms of everything.